On Tuesday, Disney dropped a bomb in the entertainment industry, announcing that they were pulling their content from Netflix and starting their own streaming service in 2019. All of the current Disney and Pixar content will be available through 2019, but after that, it all goes exclusively to Disney's new streaming service. Disney Chief Executive Bob Iger said that the company hadn't yet decided on what they would do with Marvel and Lucasfilm projects after 2019. 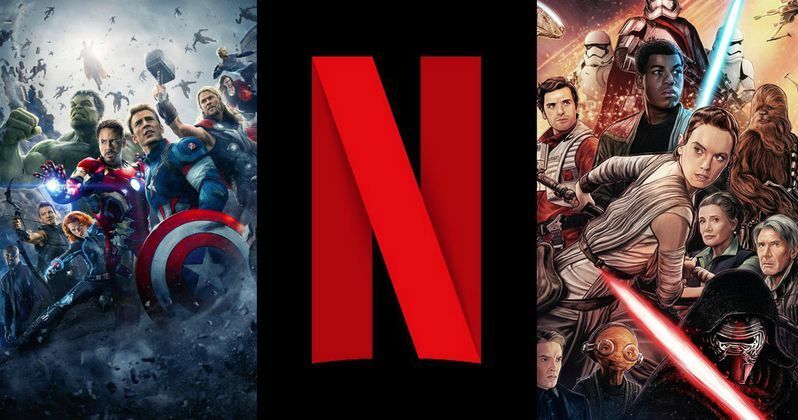 Reuters is reporting that Netflix and Disney are currently in active talks regarding the streaming rights for Marvel and Lucasfilm projects after 2019. Netflix Chief Content Officer Ted Sarandos said "we are still in active discussions" with Disney about the possibility of securing a deal to retain the rights to stream Marvel and Lucasfilm's Star Wars releases on Netflix after 2019. Disney could decide to keep all of the projects to themselves since they own Marvel and Lucasfilm as well. Would it make sense to have all of the Marvel movies, including Avengers: Infinity War and Lucasfilm's The Last Jedi all in one place under the Mouse House brand? One of the questions was raised over Marvel content like The Defenders, Daredevil, and Jessica Jones, which are considered Netflix original content. As it turns out, those shows will remain after 2019, but it is unclear if Disney will choose to develop their own shows after the launch of their streaming service. Netflix and Disney inked the licensing pact for the U.S. pay-TV window in 2012, under which Netflix secured streaming rights to Disney's movies starting with 2016 releases. Netflix has had a similar "pay one" agreement for Disney titles in Canada starting with 2015 releases. Shares for Netflix dropped after the announcement of the split and it was recently announced that the streaming giant is over $20 billion dollars in debt. Yes, you read that correctly: $20 billion dollars. The push for original content to compete with Amazon and Hulu has racked up a ton of debt for the company, which also saw a 25% increase in users over the last year. Netflix had better hope that those Disney negotiations go in their favor and might want to consider playing the Lotto every week. The company currently has over 105 million subscribers, but can't seem to get out of the monstrous debt. In a weird twist, Disney's stock also went down after the announcement, despite it being up by 11% this year. There's going to be a lot of changes coming to streaming services over the next few years and it's going to be very interesting to see how strong the competition gets. Disney going off on their own seems like a smart bet, but ultimately it will depend on how much Disney decides to charge for their streaming service and what other titles will be available. We'll just have to wait and see what Disney ends up doing since the ball is clearly in their court at the moment.